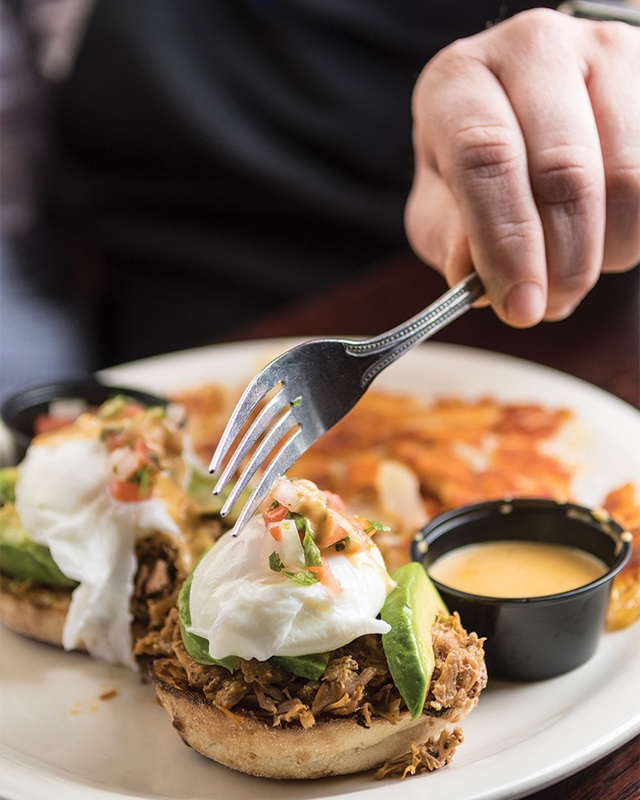 Refuel for breakfast, lunch, and dinner at this family-run restaurant. Beer for breakfast? It’s an option here, where 16 taps flow with local craft drafts to accompany your lunch, dinner, and, yes, even your breakfast. 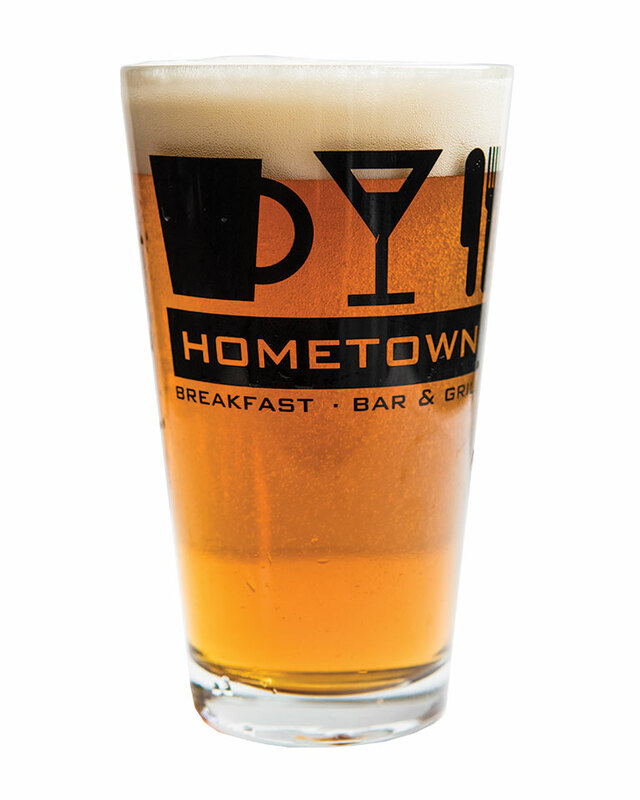 Hometown selects its beer offerings based on guest’s requests, so if you don’t see your favorite this time, just ask. 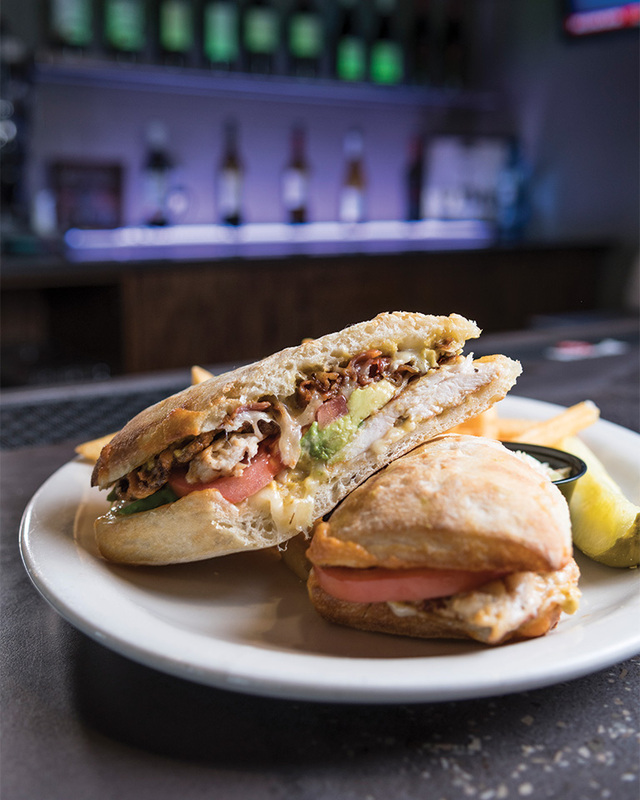 The Chipotle & Avocado Chicken Ciabatta is a savory stack of freshly grilled chicken, melted Monterey Jack cheese, hickory smoked bacon, fresh avocado, and housemade chipotle mayonnaise on oven-toasted ciabatta. There’s a good chance that you’re looking at your new favorite sandwich. 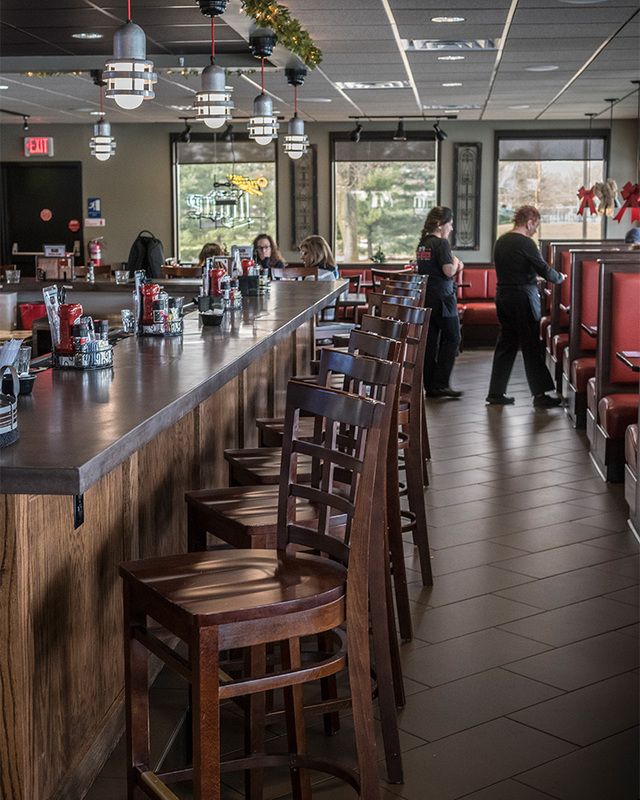 Cozy, comfortable, and easygoing, it’s no wonder that the restaurant is called Hometown—it’s the kind of place that instantly feels like home. WHAT’S HERE THAT YOU CAN’T FIND ANYWHERE ELSE? Tasty casseroles like the Chipotle Casserole, made with Chipotle Hollandaise and hand-cut home fries, are a comforting breakfast delight. WHAT HAPPENS ON WING NIGHT? A host of housemade wing sauces, ranging from Honey BBQ to “Inferno” for the daring, come smothered on wings, and Cat Country broadcasts live from the restaurant. Housemade desserts like the Coconut Custard and Apple Crumb Pie are always fresh in the display case, but the real show-stopper is the Grace Cake. Made from two layers of brownies, Kahlua, and chocolate mousse, the entire masterpiece is covered in fresh vanilla cream and topped with a little chocolate syrup.